Russia has invaded Ukraine and now there is irrefutable proof. 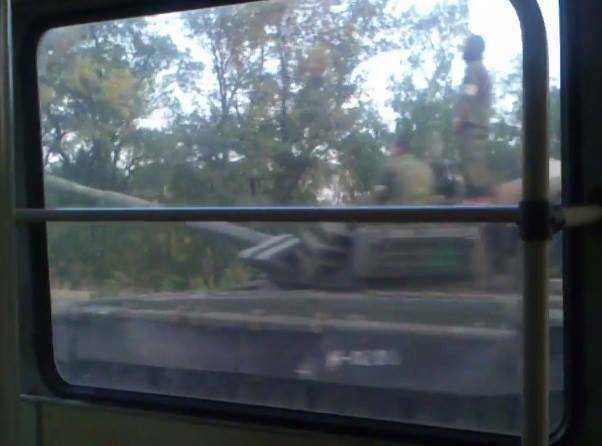 Today a Krasnodon local riding on trolleybus route Nr.1 connecting Krasnodon with Molodohvardiysk filmed a Russian mechanized column near the village of Sukhodolsk on its way towards Luhansk. 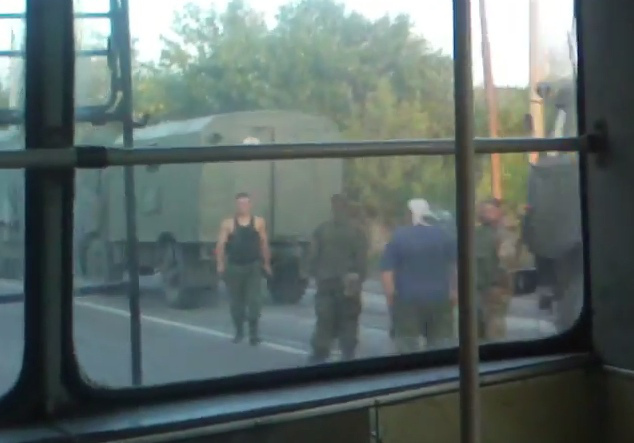 There is no doubt that the video was taken inside Ukraine. The location has been geolocated as at the 40 second mark a street sign comes into view: M04-E40 (see below). The M04-E40 begins at the Russian-Ukrainian border passes South of Luhansk and splits in Debaltseve where the E40 continues along the M03. Therefore the video was undeniably taken deep inside Ukraine. At least 13 T-72BM main battle tanks, 42 BMP-2 infantry fighting vehicles, 6 MT-LB armored personnel carries, 31 troop carrying trucks, a regimental headquarters, armored ambulances, engineering vehicles and at least 15 fuel trucks in the same color scheme carrying at least a thousand troops is without a doubt a regular unit of the Russian Armed Forces. Even more so as the tanks are of the T-72BM model, which are only in service with the Russian Army. 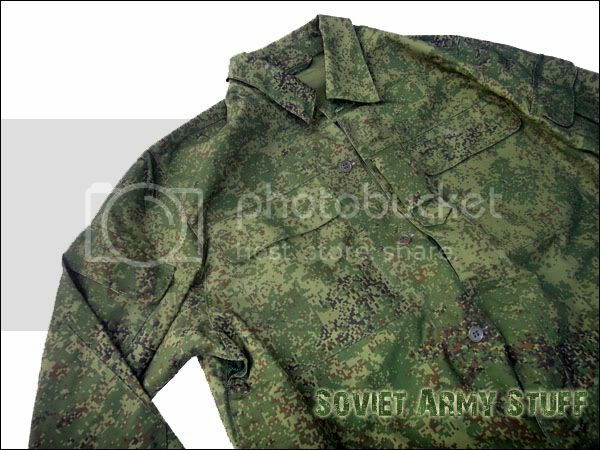 Also, the soldiers all wear standard issue Russian uniform and in case of the truck transported infantry the newest Russian Army camouflage (below). 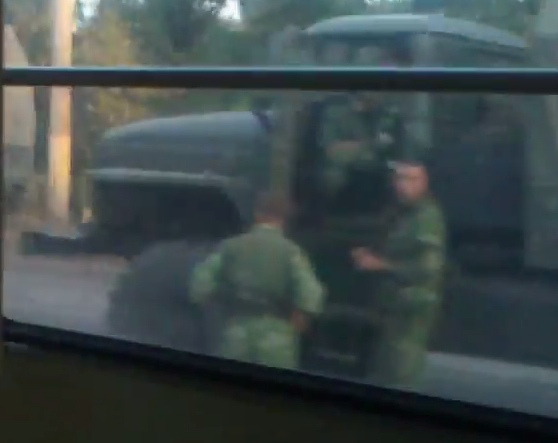 Further proof that this is a regular Russian military unit comes from the Russian language warning “огнеопасно” (flammable) on the columns fuel trucks, a warning that would be in Ukrainian language (“вогненебезпечно“) if these trucks had been captured from the Ukrainian Army. 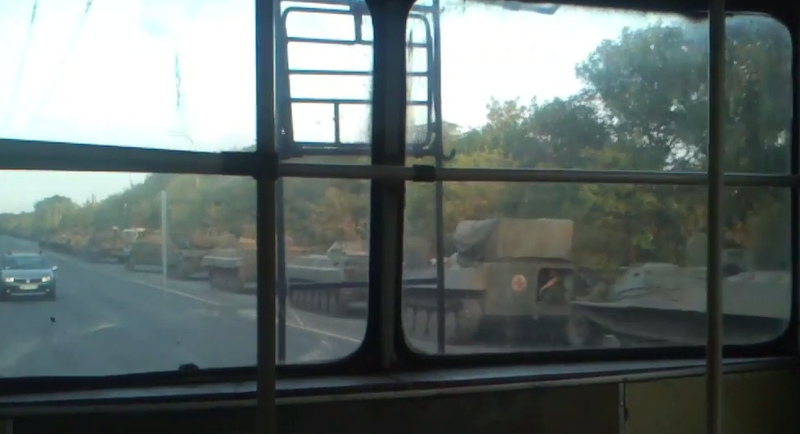 This is a Russian military unit inside Ukraine advancing towards the front with everything that is needed to fight.